My father, Frederick Marchant, was born in Brighton on July 4, 1927. He loved the city. It was one of those subjects that his eyes would sparkle for. He was born while they lived on William Street (now gone). His father, also Frederick, was a good friend to Louis Morris who owned a couple of boarding houses in the area. As a mechanical engineer and a bit of a pugilist (boxer), he helped Louis with what needed to be done around the complex. I wonder if anyone has a picture of these houses as dad remembers Louis altered the facade of the house on Carlton Hill to include a huge plaster bust of Queen Victoria. They then moved to Henry Street where they lived over the garage that his father ran. He did all kinds of motor car work (banging out dents, mechanics) as well as electrical work (charging batteries, fixing radios and acetylene lamps on the cars). Up the street was the bus garage, which the Orange coaches ran out of. My father says he learnt many a “blue” word, which he muttered with other baby talk; as his father would take him with him when working for them. Finally in 1931 they moved to the Hanover Ward and lived at 4 Cobden Road. His father ran a garage, at this time, on Richmond Street. In the midst of a depression, business wasn’t so good – so he would take work outside from time to time. Dad remembered a time when his father worked for the Worthing Fruit and Flower Company in Hove. I’m afraid he lost that job when he handled a striking worker with a strong hand. Singing under the Pier for pennies. Riding box cars down the road beside Tamplins Brewery (they would keep watch at the cross road because they couldn’t stop for cars on time. Walking up to the race track to watch the horses. I wonder if Dad remembered Doreen’s name incorrectly and it’s actually Rita Cooper who has contributed quite a bit of information. Her memories seem to shadow his own. But, all good things come to an end. Through a nasty break-up between his parents, Dad and his siblings (Pat, Bertie and Bridie) were placed in an orphanage (first at Little Hampton and then Orpington) by their mother to keep their father from seeing them. This was in 1940 at the tender age of 13. They never saw their father again as he died in an industrial accident in 1942. I’ve spent the last 7 years trying to track down their father. But, alas, it looks like he changed his name at some point. I’ve shared the story of my search here: My Story if you would like to read more. That’s about all I can remember right now. It’s a place that is filled with a fairytale quality to me. Thanks for reading. What a privilege to read about your very special memories. Nothing corresponds to my Brighton family, but as a family historian, I appreciate the value of these wonderful family memories! Would you know of a DJFV Marchant ? This name appears as the informant on a death cert (1967) the informant address is 139 North Street Brighton. Does anyone remember the Marchant family from Carlton Terrace? My grandfather established E. Marchant and Sons Wholesale Fruiterers in Brighton Municipal Market, Circus Street. My father was the youngest of six. Would love to here from anyone who remembers them as my dad, Frank, was the last of the family and passed away recently. I remember going to the scratch (Arcadia in Lewes Road). Us Kids used to queue at the side door to get in and there was a man called Stan or Len that was paid by the management to keep an eye on us and if we made too much noise he would clip our ears for us. I see your name is Gunn, do you know Dennis Gunn who worked at Allen West for years? If so he would know me as I worked with him. Hi Carrol I remember your father Frank, he was my mother’s cousin. My mother’s name was Louise Marchant from Dinapore Street. 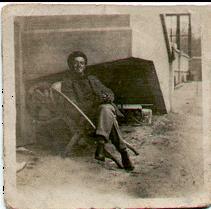 Louis Morris who is mentioned in your article was my grandfather. I am trying to find out as much about him as possible. If you can shed any light it would be greatly apprciated. 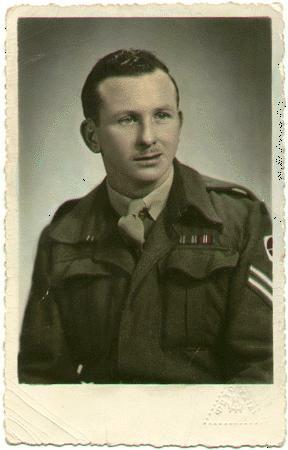 Donald Marchant was my uncle who returned to Brighton after being a POW in Germany. If any one knows anything about this family,I would love to hear from them. I will check with my mother-in-law Patricia Marchant (now Townsend) who had a sister Hilda, brother Reg and brother Fred, plus her father was Fred and mum Annie (but called Daisy!). A greengrocer family who owned a furniture shop in Trafalgar Street as well, lived in St Peters Street, married Reg Townsend from Queens Park area. Hi Clare. I think your mother-in-law is related to my husband’s great aunt Annie Daisy Smith. Married Alfred William Marchant on 8th April 1915 Mar.Cert. No. 130. Par. Church Brighton. Alfred William Marchant, 21, B, Shop Assisstant, 121 Gloucester Road. Father: Albert Edward Marchant, Furniture Dealer. Annie Daisy Smith, 21, Sp, 16 Gloucester Road. Father: Alfred George Smith, Eng Driv. LBSC Railway. BB. Witness: A.G Smith & A.F Marchant. I know there was a daughter Hilda and a son Frederick Albert who possibly married a Joyce Dorothy Turland. Would love to have more information on this part of the family. I think I’m related to both Louis Morris (my great grandfather) and Donald Marchant (my Mum’s uncle). I am looking for any information regarding my Mum’s side of the family. Hi Jean, I am the youngest son of Alfred William and Annie Daisy Marchant. My elder brother Frederick Albert and his wife Joyce Marchant and my elder sister Hilda and her husband Henry Lankstead are unfortunately now deceased so my younger sister Patricia Townsend and myself (Reginald) are the only surviving children. I live near Canterbury, Kent with my wife Theresa Mary (nee Woodford, a Brighton girl). I have a family of two boys and one daughter, so we are keeping the family name going. Hope this gives you a little more information so nice to know we have relatives on my mother’s side. Hi Reginald, just a little more about Annie, Daisy Marchant’s family. Annie Daisy Marchant’s brother was Claude, Alfred , George Smith (1888-1965) who married Mary Heritage. He was an engine driver for the London, Brighton and South Coast Railway. They had five offspring, Mabel Gladys (married Cyril Lowe) my husband’s mother. Alec (married Kathleen (Bob) Haggard Kane). Annie (married Les Buckwell) and Tom (married Nora White), who is the only surviving child. Their descendants are too numerous to name here and spread out as far as Bangkok. Annie and Claude’s parents were Alfred, George Smith and Annie, Agnes McGann who lived at 64, Roundhill Crescent, Brighton. He was also a railway engine driver. I believe Annie died before him and he remarried. I don’t know when or where. How weird is this then. I too am a Marchant descendant from my father Victor and we lived at 58 Roundhill Crescent. My fathers father was also Victor (Albert Averluy?) and he had quite a few brothers and sisters of which I remember George, Peter, John aka Bill, Elizabeth, Nelly and Joan. Their parents were John and Anna Susannah Foster. John also had a big family, Elizabeth, William, Richard, George, Ernest and William. Is this connected to anyone? Hi Karen, your dad bears a good resemblance to my second son Sam who is now 18. I know that lots of my forbears come from Lewes. So pleased to see a discussion going on around Dad’s family! Please do get in touch via ‘My Story’ if you would like. Cheers! I was born in 1938 in Bermondsey, south London. 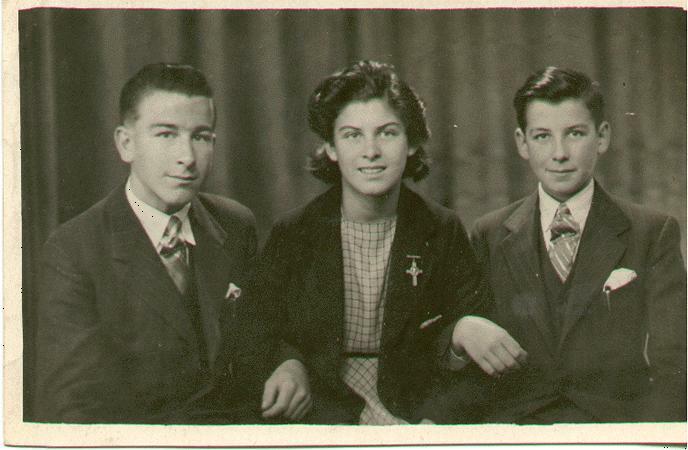 My nan, Ona Marchant, was evacuated to brighton in 1942 and lived near the skating rink in West Street. Sorry but your post has been deleted. We do not accept enquiries regarding individuals post 1911, as this may breach the privacy of the person or their living relatives. My great grandfather, Charles Lintott born 1844, was married to an Ellen formerly Tugwell Marchant born about 1854 in Brighton. I wonder if this ties in to this family tree?